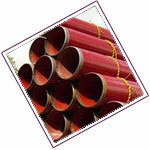 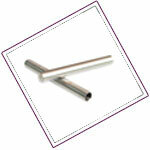 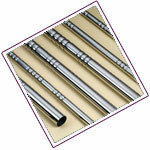 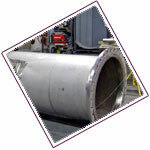 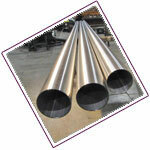 Alloy 20 Pipe was specifically designed to work with sulfuric acid. 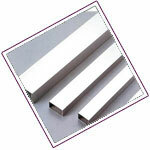 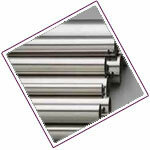 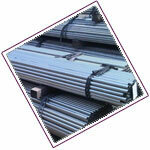 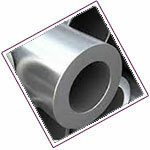 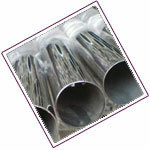 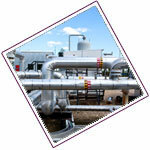 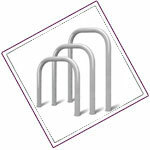 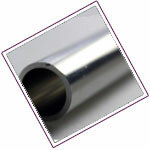 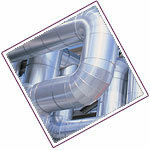 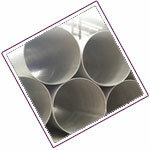 The content in Nickel, Chromium, Molybdenum and Copper provide excellent corrosion resistance. 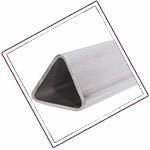 The low carbon content plus its stabilization by Columbio, allow welded fabrications that can be used in corrosive environments, usually with post welded treatment. 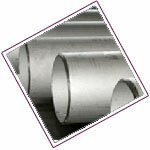 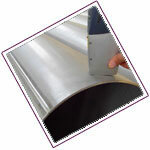 With its high Nickel content, it makes it virtually immune to stress corrosion cracking. 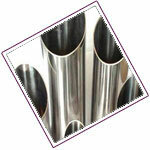 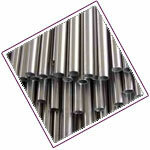 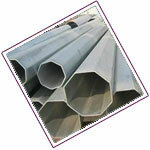 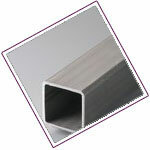 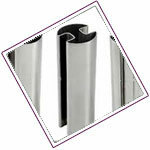 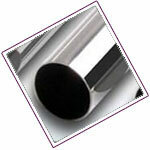 This alloy is usually chosen to solve SCC problems that may occur with the 316L stainless quality. 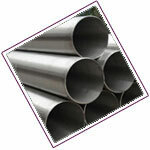 Raajsagar Steels is Manufacturer of Alloy 20 welded Pipe in india ,manufacturing Alloy 20 ERW pipes & Alloy 20 EFW welded pipe since 1999.We are ISO 9001 & 14000 certified Exporter of Alloy 20 Seamless pipe in india.We maintain over 1200 ton Austenitic Alloy 20 pipes in various shape,sizes & coating which makes us one of the largest stockist of Alloy 20 Pipes in India. 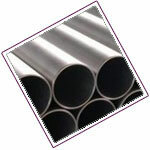 In 1985 Raajsagar steels was incorporated as a trader of Alloy 20 Pipes in India & in 1990 became stocking Distributor of Nippon Sumitomo Make Alloy 20 Seamless Pipes & Jindal Make Alloy 20 welded Pipe. 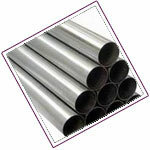 later in year 1994 we were recognised as a leading Distributor of Alloy 20 Pipe in India.Further we started stocking Alloy 20 Seamless Pipe of other manufacturers of Alloy 20 pipes in Japan & Europe like Kobelco,Sandvik,Sanyo Special Steels & Wuxi.In year 1998 Raajsagar Steels became Largest Stockist of Alloy 20 Seamless Pipe in India. 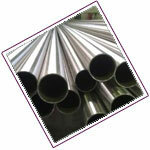 Currently we have ready stock of Alloy 20 Pipe, (Rectangular /Polish Pipe/ Electropolished Pipe/Round Pipe & Cold Drawn Pipe) at our stockyard in Mumbai,Maharashtra.Raajsagar Steels is only Supplier in india who Maintains Alloy 20 Seamless pipe in all Schedule like Schedule 40 Alloy 20 Pipe,SCH 80 Alloy 20 Seamless Pipe,SCH 160 Alloy 20 welded pipe,SCH 10 Alloy 20 Pipe,SCH XS Alloy 20 Fabricated Pipe,SCH XXS Alloy 20 LSAW Pipe.Widest Stock of Alloy 20 pipe in india enable us for prompt delivery to Middle east,Gulf countries,far east asian countries in any emergency.we can offer Alloy 20 Cold Drawn Seamless Pipe at dealer price which helps us to prove one of the best Stockholder of Alloy 20 Pipe in India.